Brent crude jumped 3.25 percent, briefly touching above $50 a barrel at 1:35pm GMT after the International Energy Agency (IEA) reported OPEC will produce less oil in the second half of 2015, as weak prices cut into revenues. The Paris-based energy group slashed OPEC’s supply growth to 950,000 barrels a day, a decrease of 350,000 barrels a day, on the assumption of record-low oil prices will stymie production in the 12 OPEC countries, which are losing revenue as oil prices plunge. On Friday, Brent briefly recovered above $50 a barrel with WTI slightly behind at near $48 a barrel. “The sell-off is having an impact. A price recovery — barring any major disruption — may not be imminent, but signs are mounting that the tide will turn,” the IEA said in its monthly report released Friday. “How low the market’s floor will be is anybody’s guess,” said the IEA. “For the most part the supply effects will not be felt immediately, but further down the road, through project delays and faster decline rates,” the report says. Crude oil has lost nearly 60 percent since its peak of $115 per barrel in July 2014. 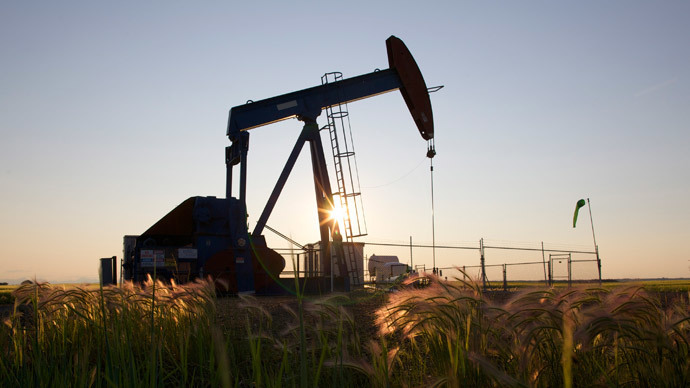 The price fall accelerated after OPEC decided not to cut output in face of growing US production, which has grown considerably on the back of the US shale boom. This decision was a “game changer” for the oil market, that triggered a “historic shift,” the report says. #IEA says #oilprice recovery not expected to be imminent, but signs are mounting that "the tide will turn." Other non-OPEC members, such as Russia, are also producing at record levels, contributing to the oversupply. “A non-OPEC production pullback as early as this year, more towards the second-half, means that the sloppy market conditions seen today will start firming up, or at least will stop getting worse,” the report author Antoine Halff said. Many OPEC countries are selling oil at a loss, including its unofficial leader, Saudi Arabia, which is facing huge pressure on its budget. Sluggish economic growth will continue to drag down oil, according to the Oil Market Report. Earlier this week, the World Bank slashed its global GDP forecast for 2015 to 3 percent, down from the previous estimate of 3.4 percent. "Despite lower prices, with Brent crude futures near a six-year low, demand growth is forecast to accelerate by only 0.9 million barrels a day in 2015, unchanged from the outlook in the December report,” the latest report says. Deliveries in the last quarter of 2014 were estimated at 0.6 million barrels a day more than in the same period a year ago.